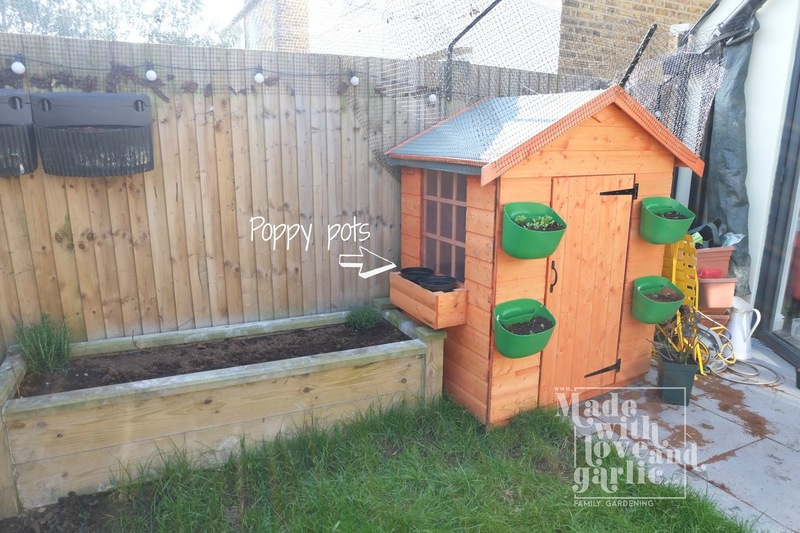 When planning our tiny garden, we wanted to ensure that we’d have space where GarlicBoy could play safely when we’re home. We also wanted some storage space for garden cushions and tools etc. A playhouse seemed to tick all the boxes and he loves it. My father and I put it together a couple of days after Christmas and I have to say, that kind of work is a surprisingly good hangover cure! Our urban garden is so small that I had to have it made specifically to fit the space but one thing that did fit in, was a tiny window box outside the window. So I want to sow some little flowers for GarlicBoy that are unusual and that we can make little posies out of. So we decided to sow some poppy seed. I saw these pretty Ladybird Poppy (Papaver commutatum) seeds during a recent visit at the wonderful RHS Wisley (where my husband goes pale every time I suggest that we exit through the gift shop (or, as they call it, the nursery…). 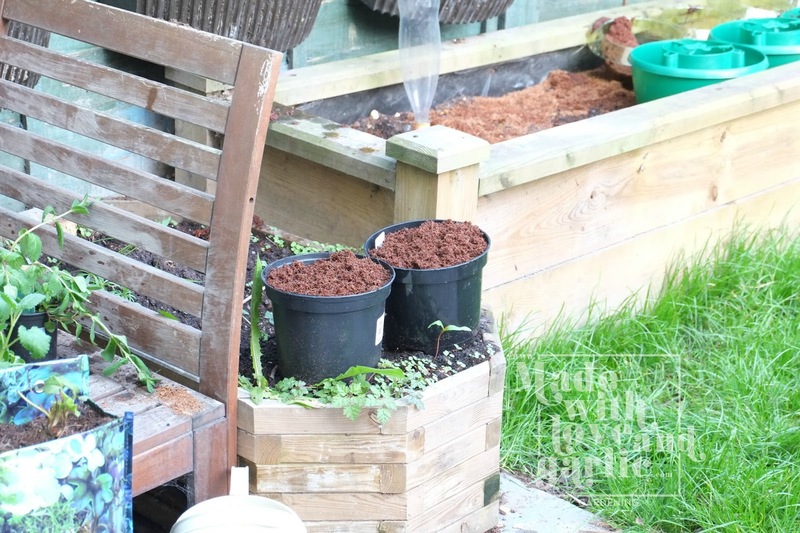 As the tiny “window box” of his playhouse is so shaded, I’ve decided to let the pots sit on the patiently waiting pumpkin raised bed to get some sun whilst they germinate. This was quite fun to do. As usual, I had all of our equipment set out up so that when GarlicBoy awoke from his lunchtime nap, he could scurry over to his stepladder and investigate all of our tools. 3. 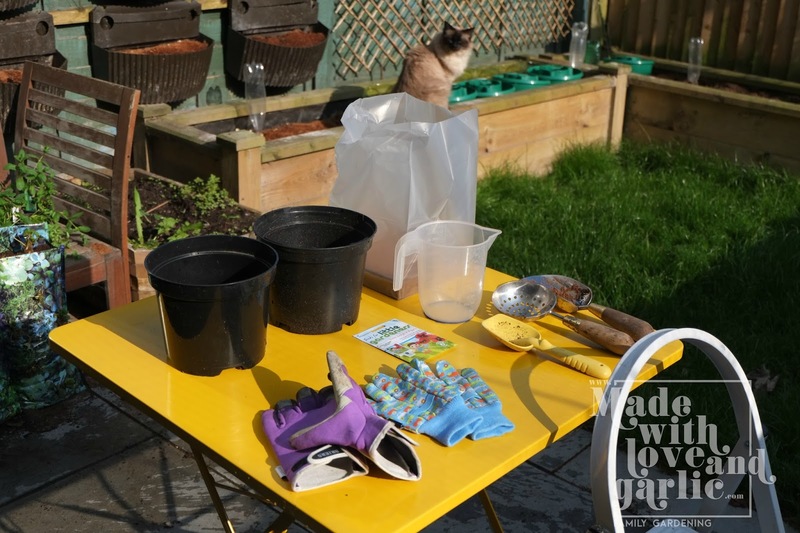 Enlist your tiny helper’s assistance in using the trowel to transfer soil into the pot. This is, without a doubt, my toddler son’s favourite part of the whole process. 7. Place your pots in position!